The Pioneer CDJ-2000 and Pioneer CDJ-900 professional multi-player units have finally arrived in the DJbooth.net Lab with just enough time for us to give you reviews before they are returned in time for the DJ Expo in Atlantic City later this month. In the meantime I will bring you the unboxing videos of each deck and a quick physical comparison breakdown to recognize the obvious differences between the two. professional multi-player units have finally arrived in the DJbooth.net Lab with just enough time for us to give you reviews before they are returned in anticipation of the DJ Expo in Atlantic City later this month. In the meantime we will bring you the unboxing videos of each deck and a quick physical comparison breakdown to recognize the obvious differences between the two. Much More to come! Stay tuned to our blog site for many more reviews and news updated daily Monday to Friday! 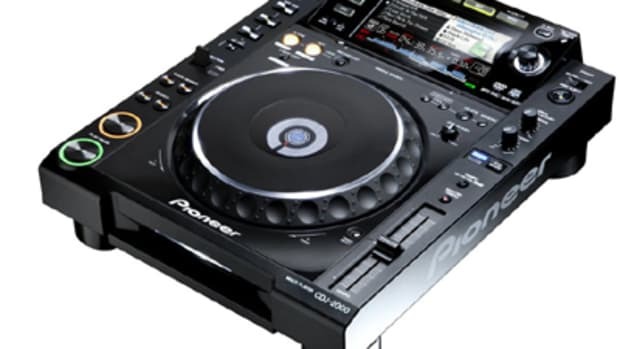 Note: The purpose of this quick comparison is to show the obvious differences between the CDJ-2000 and the CDJ-900 decks as they readily appear on the outside. There may be other differences that are more noticeable with extended usage, but these are the physical differences that can be seen immediately. -CDJ-2000 has two separate knobs for track startup time adjustment and track brake/stop time adjustment, while the CDJ-900 has a single knob that will adjust and share both track startup and track stop times. The Pioneer CDJ-2000nexus is the new flagship multi-media player from Pioneer DJ that combines all of the features found on the original CDJ-2000 with some new features that is sure to get more than a few DJ's to take the plunge. In the CDJ-2000NEXUS, some of these new features include the Slip Mode button, the Beat Sync Mode, Wireless Rekordbox integration, and Wave Zoom. We'll dive a lot deeper into the CDJ-2000NEXUS to bring you a full out HD-Video and written review within the next two weeks... Check out my unboxing & first impressions video in the meantime to see a quick rundown of what's to come. We all knew it was coming very soon and today Pioneer Pro DJ introduced its new flagship CDJ player, the CDJ-2000nexus, with lots of new features and technologies including Wi-Fi connectivity, compatibility with Pioneer’s new rekordbox App for iOS devices, and new functions such as Beat Sync, Wave Zoom and Slip. Also upgraded this time around is the selection screen interface for better music searches and waveform display, increased visibility of the needle search pad, and improved master tempo sound quality. Check out the video, press release, and a quick breakdown inside. 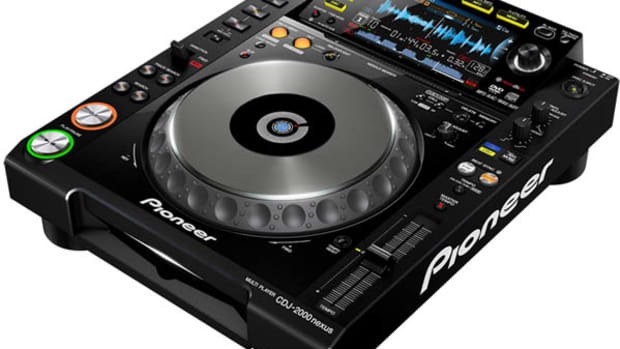 The Pioneer CDJ-2000nexus is the latest and greatest CD and Multimedia deck that Pioneer has ever created. The new CDJ-2000nexus includes the Slip Mode function that was found on the CDJ-900's but was inexplicably left off of the original CDJ-2000. The Slip Mode allows DJ's to manipulate a track via loops, cue points, and platter movements while the track continues to play underneath so when the manipulation is complete, the track will continue to play in the position it would have been if there were no outside influence. 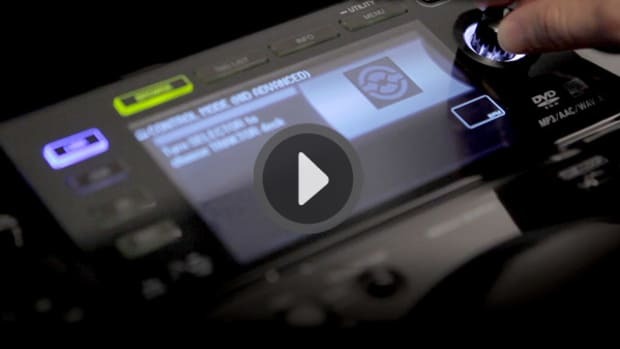 Check out the Pioneer Tutorial video inside to see the Slip Mode in action. While we were down in Atlantic City for the DJ Expo earlier this month, we were able to catch a glimpse of the Pioneer Art-Mix Series CDJ-2000's that saw DJ's and artists from around the world come together to produce some stunning Digital DJ Artwork. This all-star crew of individuals used a new Pioneer CDJ-2000 as a blank canvas to decorate and express themselves however they saw fit. They were on display across the county at various venues over the summer and we were lucky enough to see them at the DJ Expo. Watch the complete Video, Press Release, and other information inside. Pioneer and Serato has just announced that the CDJ-900NXS multi-media player (an update to the hugely popular CDJ-900 that adds a new high-resolution color display, better looping abilities, and full Rekordbox compatibility) is now fully compatible with the Serato DJ Software in HID Mode. This means that most of the main buttons, functions, and features on the CDJ-900NXS will function flawlessly in conjunction with the Serato DJ Software. About two weeks ago, Native Instruments released the newest 2.5.1 software update to the Traktor Scratch Pro packaged that provides easy plug and play compatibility with the Pioneer CDJ-400, CDJ-900, and CDJ-2000 CD decks. The new updates provides advanced HID support allowing the CDJ to access cues, loops, tracks and more right on the CDJ's display. Check out the newly released video of it all in action! 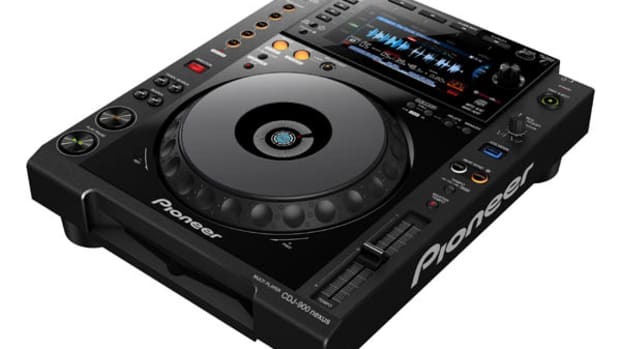 The new Pioneer CDJ-2000nexus has a lot of new functions and updates from the original CDJ-2000 that will allow DJ's to sync songs together with the touch of a button and it can also work in perfect harmony with the new Traktor Pro 2.6 DJ software. We reviewed the CDJ-2000nexus and showed you just how easy it is to get the CDJ-2000nexus working with the Traktor Pro 2.6 software, but Pioneer DJ does one better with a full video tutorial showing DJ's how to connect and use them in seamless HID mode. Check out the video tutorial after the jump. 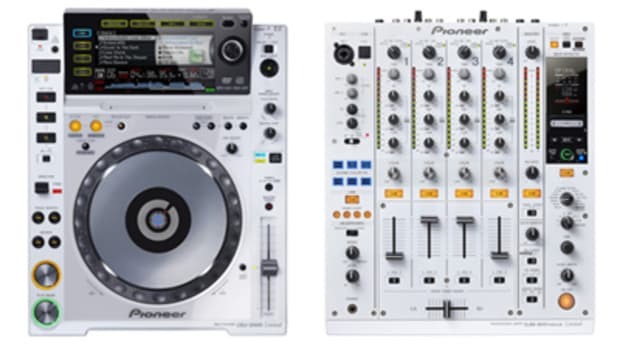 The Pioneer CDJ-2000 multi-media players and the Pioneer DJM-900 mixer are now offered in all white for a limited time only. We were on the NAMM showroom flow for the full announcement from Pioneer and they were gracious enough to give us a quick rundown video on the new Limited Edition setup and what it all means for Pioneer. Check out the video after the jump.